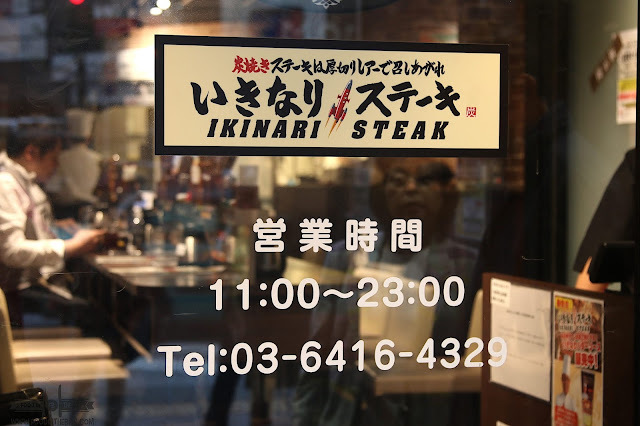 IKINARI STEAK HOUSE IN SHIBUYA, TOKYO: AFFORDABLE BUT DELICIOUS STEAK! No this is not steak. 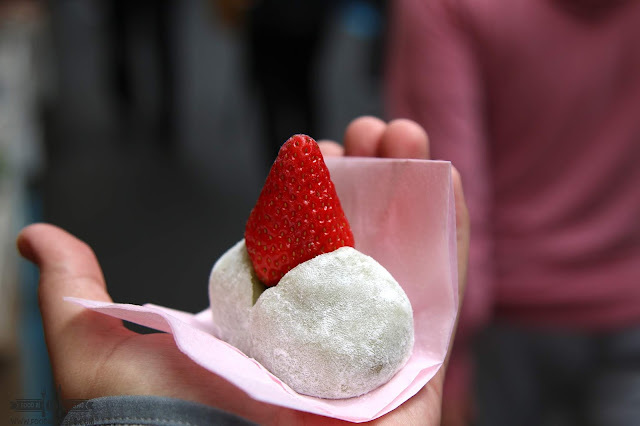 This is daifuku or a mochi that is filled with something sweet. 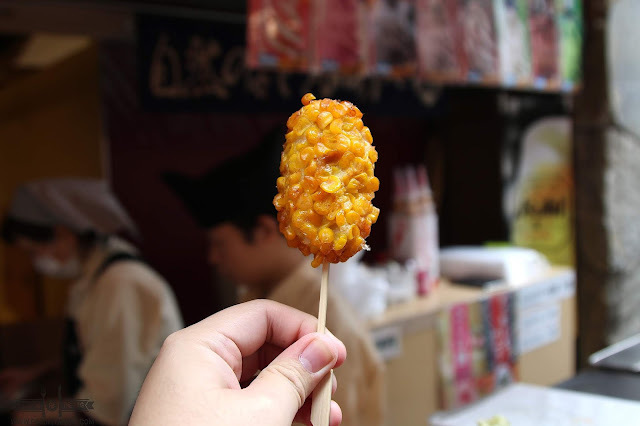 I just wanted to take note of this dessert and some other street food items that are a must when you visit TOKYO'S famous TSUKIJI MARKET. 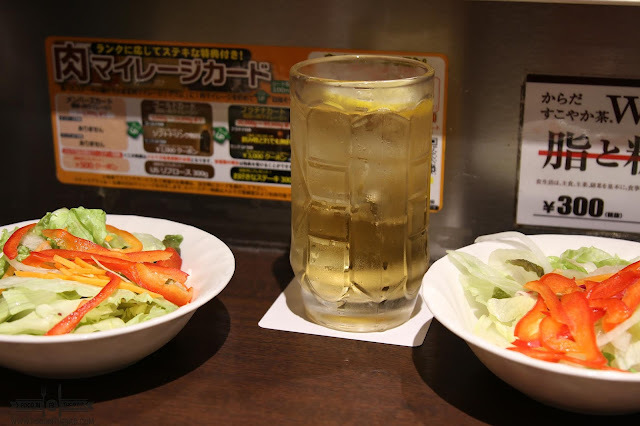 Although, yes, we will talk about steak, these items were very iconic in my return visit to Tokyo as I had them before and now that I'm back, I was able to fall in love with them all over again. 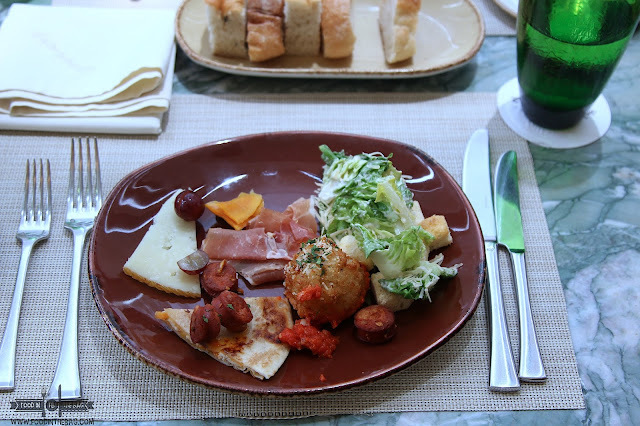 Even before I went to Japan, I have been hearing about the amazing dishes it has to offer. Granted that I was introduced to local Japanese fare in Manila early on, TOKYO is the foodie haven waiting to be conquered. After visiting the famous TSUKIJI MARKET for a dose of street/market food, we went back to our home base in SHIBUYA. Thankfully, our hotel was just a stone throw away from IKINARI STEAK. This steak house franchise is known for affordable deals and they charge you based on the amount and type of steak you order. It's really getting your money's worth. Furthermore, most of their restaurants do not offer seats or chairs. THIS SHIBUYA location thankfully, does. After ordering sides, you're given a table number and are expected to go over to the counter. There, you choose your type of steak and how big you want it to be. After a few minutes, they prepare it and serve it on a sizzling plate. Don't worry as you are given a clothing protector for the sizzling oil. After you get your steak, don't forget to add the different sauces on the table. Everything is affordable and it's quite delicious. Of course it doesn't compare to those pricey cuts of meat that you could get at other locations. 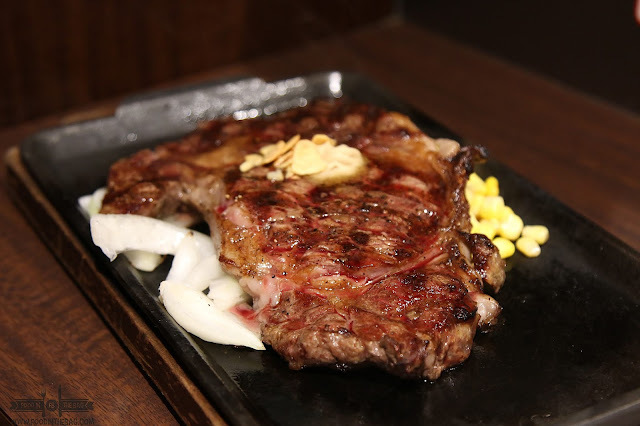 At IKINARI STEAK however, you'll enjoy everything and your wallet won't feel the pinch. Japan, 〒150-0041 Tokyo, Shibuya, Jinnan, 1 Chome−22−7 岩本ビル. 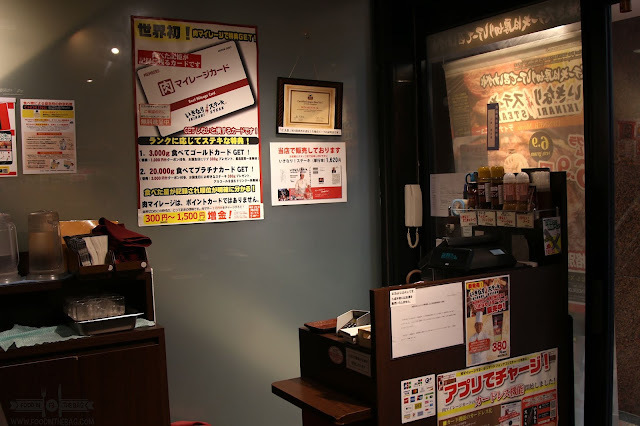 Just like with other Japanese restaurants, payment is done on the counter just before you leave. Get the paper they put on your table, and pay the amount.